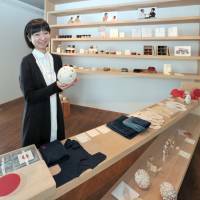 Entrepreneur Rika Yajima, 27, worries about the decline in the Japanese traditional craft industry. Driven by a firm belief the industry can survive if traditional crafts remain part of people’s daily lives, she founded a store in 2014 to sell goods ranging from earthenware cups and dishes to underwear under the aeru brand, which she created two years earlier. What’s unique is the store’s target: babies and children up to 6 years old. “The longest way round is the nearest way home,” Yajima said, arguing that the quickest way to succeed with traditional Japanese handicrafts is to pass them on to younger generations. Indeed, figures show that traditional industries are in decline. According to the Association for the Promotion of Traditional Craft Industries, the number of people engaged in the sector fell to about 68,720 in 2013 compared with around 288,000 in 1979, while output stood at ¥105.1 billion in 2013, down from about ¥540 billion in 1983. This sense of crisis drove Yajima to find her own way to help craft industries survive. Looking back at her childhood, she said she didn’t have the opportunity to learn about Japanese traditional crafts from adults. “If people are given a chance to learn about Japan’s traditions and crafts in their childhood, I’m sure many will be interested in such products later in life,” she emphasized. By purchasing the goods at her store, parents can learn about them. But if traditional industries disappear, younger generations will only know mass-produced, readily available products, she warned. Now she runs brick and mortar outlets in Tokyo and Kyoto, in addition to an online shop with over 20 items for sale. 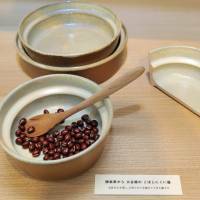 Yajima’s involvement with traditional crafts dates back to when she was in junior high school in Matsudo, Chiba Prefecture, when she joined the tea ceremony and ikebana club in her third year. “I longed to wear kimono someday when I saw a beautiful young lady wearing the traditional Japanese attire,” she said, explaining why she joined. She stayed with the club through high school, becoming intimately familiar with the nation’s traditional culture and manners. After passing an entrance exam for Keio University in Tokyo in October 2007, Yajima took part in a TV quiz show that tests contestants’ knowledge of traditional Japanese manners. To her surprise, she won. This reinforced her passion for Japanese culture. “I realized how much I loved Japanese culture and Japan,” Yajima recalled. At Keio, she started a club to learn more about traditional activities, such as sake brewing and confectionery-making, and sometimes wore kimono on campus. In college, however, Yajima began interviewing the actual artisans behind the activities after realizing she didn’t know much about their products. She also pitched the interviews to publishers, leading to a serial feature in a quarterly magazine published by a major travel agency that ran for three years starting in 2009. This was followed by an invitation from another weekly magazine in 2012 to write similar stories. 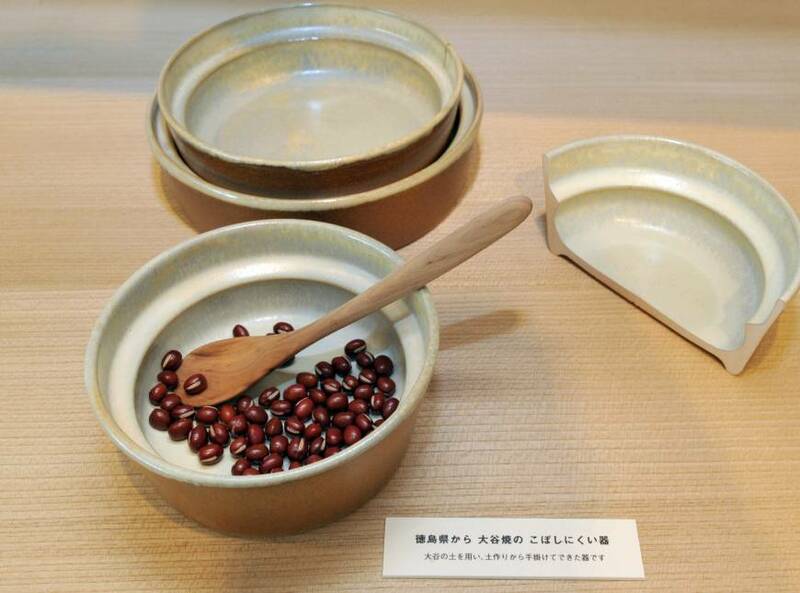 Yajima said she covered around 25 artisans in fields that included dyeing, paper-making, earthenware and lacquerware. Instead of pursuing her childhood dream of becoming a journalist, she realized that she wanted to convey the essence of traditional crafts by marketing them and entered business contests to gauge whether her ideas would work. In a 2010 contest, Yajima won top prize for her business plan for founding aeru. Like her fellow students at Keio, Yajima went through the job-hunting process but was unable to find a company that suited her goals. That’s when she launched her company on March 16, 2011, just days before enrolling in graduate school to study social innovators. Beforehand, those around her voiced concern that the plan was dangerous because diving into a declining industry in a country with a shrinking population seemed unwise. But Yajima believed in herself and her instincts. As it turned out, aeru’s customer base would span generations, from high schoolers to great-grandmothers. “When we held events at our shop in Tokyo, we had college students who seemed eager, high school students who came with their parents,” she said. Yajima did run into financial difficulty. When her company’s funds and her savings ran out at the end of 2012 and the beginning of 2013, she was unable to pay the artisans for their work. But they agreed to defer payment. After media coverage drew attention to the aeru brand, her business began growing and department stores started selling her wares. “The artisans helped me, saying it was alright. It was precisely because we had a common goal,” Yajima recalled. Entering its fifth year, the firm aims to expand beyond sales and try new ideas. One example is a project called aeru room, in which guests stay in hotel rooms furnished with traditional craftworks. “I’d like hotel guests to feel the charm of the region by staying in such a room,” Yajima said. She also hopes hotel employees play an active role by telling their guests about the project. The first aeru room will debut in Nagasaki Prefecture this summer. “I’d like to further thicken the core of aeru’s business, which is to pass on our ancestors’ wisdom,” she said. March 2007 — Wins TV quiz show about Japanese culture and manners. April 2007 — Enters Keio University. February 2010 — Wins student business competition sponsored by the Tokyo Metropolitan Small and Medium Enterprise Support Center and Tokyo Metropolitan Government. March 2011 — Establishes aeru. April 2011 — Enrolls in graduate school at Keio. July 2014 — Opens first aeru outlet in Tokyo. November 2015 — Opens second outlet in Kyoto.